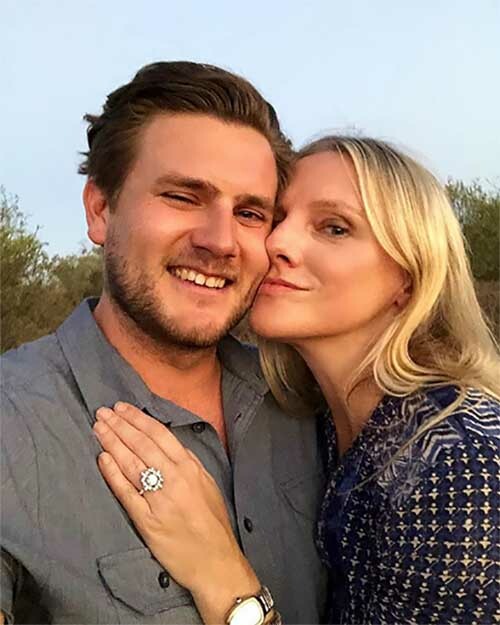 InStyle magazine’s editor-in-chief Laura Brown raised the bar for engagement ring selfies last week when she posted to her Instagram page an impeccable close-up shot of her new Art Deco-inspired bling. 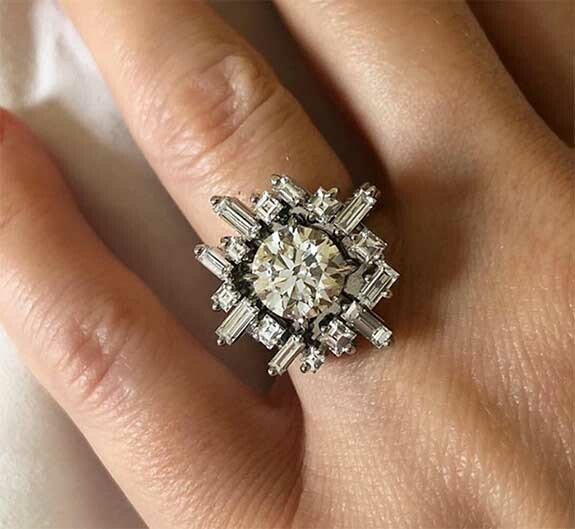 The ring features a round center diamond surrounded by an unusual asymmetrical array of square and rectangular baguettes. 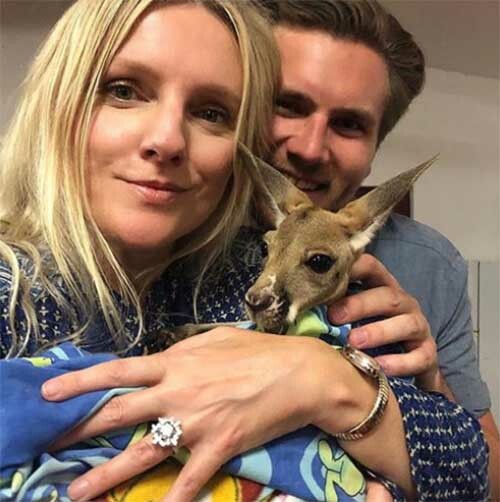 Brown teased the big news in an Instagram post that showed the couple embracing at the Kangaroo Sanctuary in Alice Springs, Australia. The caption read: “What can I say: someone really digs kangaroos. I love you forever, @brandogeoffrey.” Prominently seen on the ring finger of her left hand is a diamond engagement ring. In a post the next day, Brown told her 251,000 Instagram followers how the sanctuary’s team played a big role in the surprise proposal. A baby kangaroo and the engagement ring starred in the post. “And for those of y’all who wanted a closer look at the ring, here it is,” Brown wrote on her Instagram page. “Designed by my dear and brilliant mate Stefano Canturi. He is a genius. Am beside myself. Stefano and Patricia, we love you and thank you! @canturi” She punctuated the caption with a red heart emoji.